VMware has released VMware Horizon 7.3.1 and Horizon Client 4.6! With this new release, Horizon 7.3 enhances key platform features, including Horizon Virtualization Pack for Skype for Business, VMware Instant Clone Technology and the Horizon Help Desk Tool. Many new items have been introduced, such as HTML5 video redirection support for the Chrome browser and the ability to configure Windows Start menu shortcuts for desktop and application pools using the Horizon Administrator console. As always, you can count on increased operating system support for virtual desktops and clients. The Horizon Help Desk Tool provides a troubleshooting interface for the help desk that is installed by default on Connection Servers. To access the Horizon Help Desk Tool, navigate to https://<CS_FQDN>/helpdesk, where <CS_FQDN> is the fully qualified domain name of the Connection Server, or click the Help Desk button in the Horizon Administrator console. The Help Desk Tool was introduced in Horizon 7.2 and has been greatly expanded upon in the Horizon 7.3 release. The user session details appear on the Details tab when you click a user name in the Computer Name option on the Sessions tab. 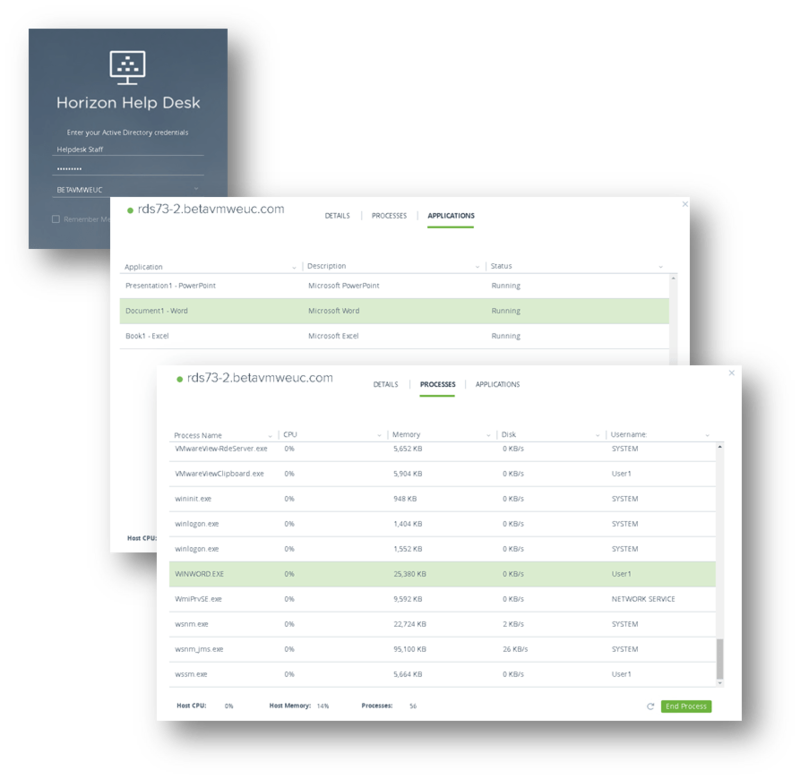 You can view details for Horizon Client, the VDI desktop or RDSH-published desktop, CPU and memory stats, and many other details. Blast extreme metrics that have been added include estimated bandwidth (uplink), packet loss, and transmitted and received traffic counters for imaging, audio, and CDR. The text-based counters do not auto-update in the dashboard. Close and reopen the session details to refresh the information. The counters for transmitted and received traffic counters are accumulative from the point the session is queried/polled. This new feature provides help desk staff with a granular option to resolve problematic processes without affecting the entire user session, similar to Windows Task Manager. The session processes appear on the Processes tab when you click a user name in the Computer Name option on the Sessions tab. For each user session, you can view additional details about CPU- and memory-related processes to diagnose issues. You can also create custom roles by assigning the Manage Help Desk (Read Only) privilege along with any other privileges based on the Help Desk Administrator role or Help Desk Administrator (Read Only) role. Members of the Help Desk Administrators (Read Only) role do not have access to following controls; in fact, functions such as Log Off and Reset are not presented in the user interface. You can now make optimized audio and video calls with Skype for Business inside a virtual desktop without negatively affecting the virtual infrastructure and overloading the network. All media processing takes place on the client machine instead of in the virtual desktop during a Skype audio and video call. 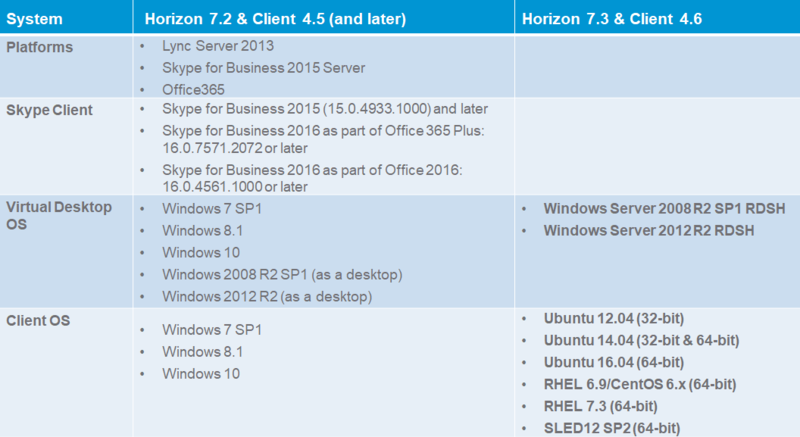 New support with many expanded features for the Horizon Virtualization Pack for Skype for Business can be found in Horizon 7.3 and Client 4.6. This feature improves the user experience by adding desktop and application shortcuts to the Start menu of Windows client devices. Shortcuts appear in the Windows Start menu and are configured by IT. Shortcuts can be categorized into folders. Users can choose at login whether to have shortcuts added to the Start menu on their Windows endpoint device. Upon the initial release of instant clones in Horizon 7, we supported floating desktop pools and assignments only. Further investments have been made to Instant Clone Technology that add support for dedicated desktop pools. Fixed assignments and entitlements of users to instant-clone machines is now provided as part of Horizon 7.3. Dedicated instant-clone desktop assignment means that there is a 1:1 relationship between users and desktops. Once an end user is assigned to a desktop, they will consistently receive access to the same desktop and corresponding virtual machine. This feature is important for apps that require a consistent hostname, IP address, or MAC address to function properly. Note: Persistent disks are not supported. Fixed assignments to desktops does not mean persistence for changes. Any changes that the user makes to the desktop while in-session will not be preserved after logoff, which is similar to how a floating desktop pool works. With dedicated assignment, when the user logs out, a resync operation on the master image retains the VM name, IP address, and MAC address. VMware has expanded NVIDIA GRID support with Tesla P40 GPU cards in Horizon 7.3. 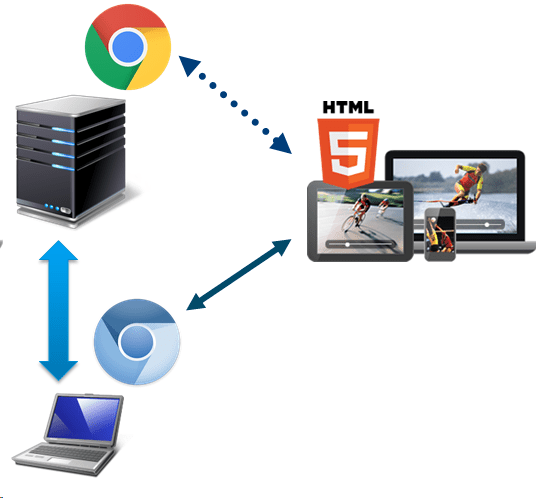 This feature provides the ability to take the HTML5 video from a Chrome (version 58 or higher) browser inside a Windows VDI or RDSH system and redirect it to Windows clients. This feature uses Blast Extreme or PCoIP side channels along with a Chrome extension. The redirected video is overlaid on the client and is enabled as well as managed using GPO settings. Supports generic sites such as YouTube, without requiring a server-side plugin. Provides smooth video playback comparable to the native experience of playing video inside a browser on the local client system. Reduces data center network traffic and CPU utilization on the vSphere infrastructure hosts. The default User Environment Manager timeout value has been increased. This change ensures that the USB redirection Smart Policy takes effect even when the login process takes longer than expected. With Horizon Client 4.6, the User Environment Manager timeout value is configured only on the agent and is sent from the agent to the client. You can now bypass User Environment Manager control of USB redirection by setting a registry key on the agent machine (VDI desktop or RDSH server). This change ensures that smart card SSO works on Teradici zero clients. Note: Requires a restart. The Windows Agent PerfMon counters for the Blast Extreme protocol have been improved to update at a constant rate and to be even more accurate. KDE support – Besides RHEL/CentOS 6.x, the KDE GUI is now supported on RHEL/CentOS 7.x, Ubuntu 14.04/16.04, SUSE Linux Enterprise Desktop 11 SP4. Support for the MATE interface on Ubuntu 14.04, Ubuntu 16.04. Blast Extreme Adaptive Transport support. vGPU hardware H.264 encoder support. 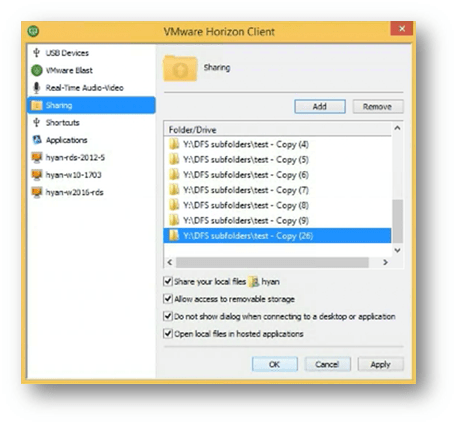 The USB redirection feature is now supported when you use Horizon Client in nested mode. When using nesting–for example, when opening RDSH applications from a VDI desktop–you can now redirect USB devices from the client device to the first virtualization layer and then redirect the same USB device to the second virtualization layer (that is, nested session). 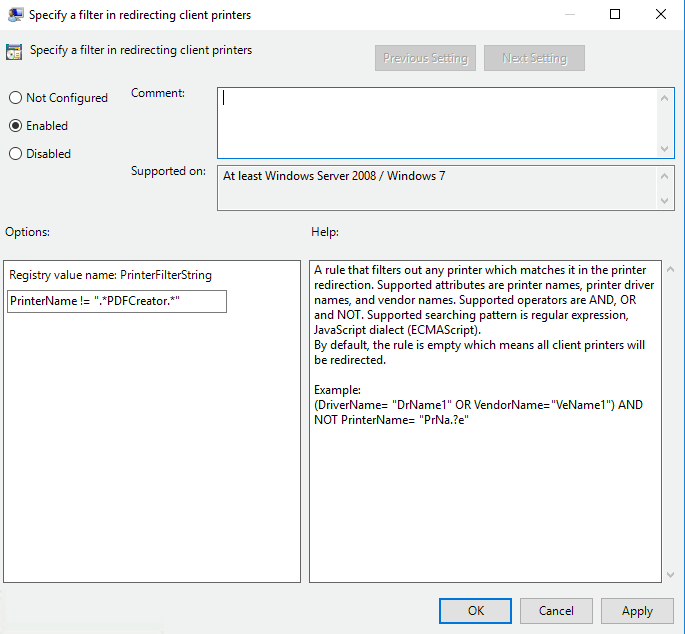 You can now create a filter to specify the printers that should not be redirected with ThinPrint. A new GPO ADMX template (vmd_printing_agent.admx) has been added to enable this functionality. By default, the rule permits all client printers to be redirected. Supported searching pattern is a regular expression. Now even lower CPU usage is achieved with adaptive Forward Error Correction algorithms. This clever mechanism decides how to handle error correction, lowering CPU usage within virtual desktop machines as well as on client endpoint devices. New support has been added for Blast Extreme Adaptive Transport side channels for USB and CDR communications. Once enabled, TCP port 32111 for USB traffic does not need to be opened, and USB traffic uses a side channel. This feature is supported for both virtual desktops and RDS hosts. Feature is turned off by default. This feature allows IT administrators to restrict access to published applications and desktops based on both client computer and user. With client restrictions for RDSH, it is now possible to check AD security groups for specific computer names. Users only have access to desktops and apps when both the user and the client machine are entitled. For this release, the feature is supported only for Windows clients and works with global entitlements. Pre-launch provides the ability to launch an empty (application-less) session when connecting to the Connection Server. The feature is now also available to Windows clients, in addition to macOS. Also, it is no longer necessary to manually make changes to the client settings. You can configure automatic reconnection. With prior client releases, users were required to configure their Blast Extreme settings before they connected to the Connection Server. 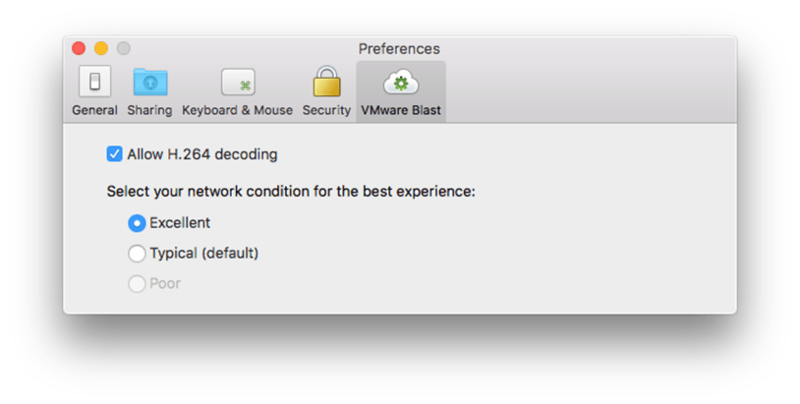 After a connection was established, the options to change the Blast Extreme setting—which included H.264, Poor, Typical, and Excellent—were unavailable. With this release, users can change the network condition setting from Excellent to Typical or the reverse while inflight to sessions. Doing so also changes the protocol connection type between TCP (for Excellent) and UDP (for Typical). Note: End users will not be able to change the network condition setting if Poor is selected before establishing a session connection. REMOVE-SerialPort,Scanner – Removes the serial port, scanner, or both. DESKTOP_SHORTCUT-0 – Installs without a desktop shortcut. STARTMENU_SHORTCUT-0 – Installs without a Start menu shortcut. Allows remote applications to access files from a network location on the client machine. 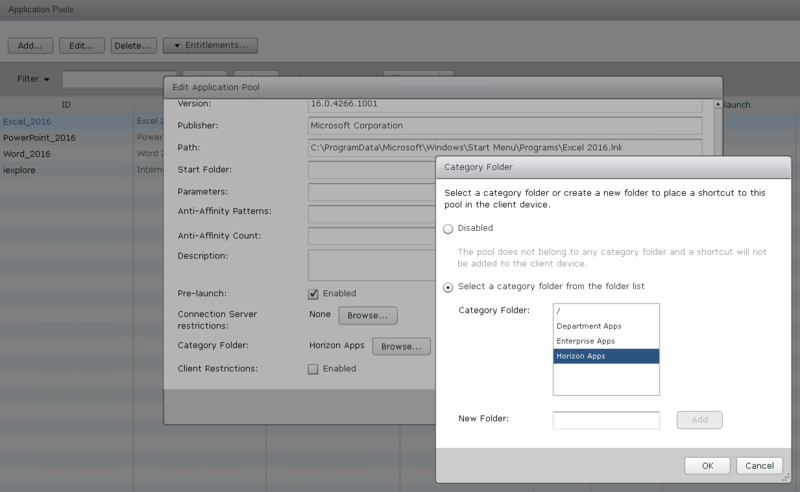 Each location gets its own drive letter inside the remote application or VDI desktop. Folders residing on UNC paths can now be redirected with CDR, and get their own drive letter inside the session, just as any other shared folder. Apple macOS High Sierra day 0 support. Users can select which monitors to use for VDI sessions and which to use for the local system. Server URL configuration – Allows administrators to configure a list of Connection Servers and a default Connection Server on Android devices managed by VMware AirWatch. Simple shortcuts – Users can right-click any application or desktop to add a shortcut to the home screen. Webcam redirection – Integrated webcams on an Android device or a Chromebook are now available for redirection using the Real-Time Audio-Video (RTAV) feature. HTML Access on Android devices – Though HTML Access has fewer features than the native Horizon Client, it allows you to use remote desktops and published applications without installing software. HTML Access page customization – Administrators can customize graphics and text and have those customizations persist through future upgrades. Network recovery improvements – Clients can recover from temporary network loss (up to 2 minutes). This feature was already available for Windows, macOS, Linux, iOS, and Android, and is now available for Windows 10 UWP. We are excited about these new features in Horizon 7.3.1 and the Horizon Client 4.6. We hope that you will give them a try. This security update resolves a security feature bypass in Microsoft Windows. An attacker could bypass Kerberos authentication on a target machine and decrypt drives protected by BitLocker. 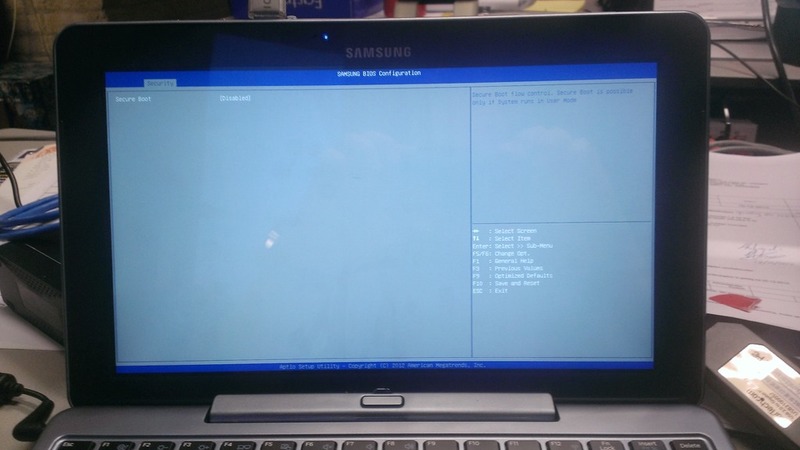 The bypass can be exploited only if the target system has BitLocker enabled without a PIN or USB key, the computer is domain-joined, and the attacker has physical access to the computer. This security update is rated Important for all supported editions of Windows. For more information, see the Affected Software section. The update addresses the bypass by adding an additional authentication check that will run prior to a password change. For more information about the vulnerability, see theVulnerability Information section. For more information about this update, see Microsoft Knowledge Base Article 3105256. The following table lists a number of user settings across each of the Office 2013 applications that I recommend you take a look at. This is just a small subset of the total number of settings, but includes some of the most important ones. The status of each setting will vary dependant on the environment. Use at your own risk. Support for the latest Guest OS’es like Microsoft Windows 8.1 and various Linux distributions. Up to 20 networks can be defined. SSD pass through makes for better support of the underlying hardware platform. New Virtual Appliances created with the Workstation team to quickly run various cloud stacks like Pivotal, Puppet Labs and Vagrant. New option to display the VM console using VMware-KVM, a ‘screen-only’ window without any bells or whistles. Last week i was playing with Samsung ATIV Smart PC. Samsung ATIV Smart PC is a great device. This is one of many Touch laptops from Samsung. This Laptop is also usable as Tablet PC. Because it run Windows 8 x86 you can run al your applications on this device. De Samsung ATIV Smart PC does not have fast Ethernet nic onboard only a Wifi NIC. I would like to deploy our company “image” to this device. 11. Import the Drivers in to same Driver Store als descripted in 6. Make note of the number of the partition that you want to mark as active. Select the partition, n, you want to mark as active. 19. If you’re on Windows 8, double-click your ISO image to mount it. If you’re on earlier versions of Windows, use a 3rd party utility to mount the ISO. Just search the web and you’ll find options. Or, burn the ISO to a DVD and then mount it. Once the ISO is mounted, copy all files and directories over to your newly formatted USB drive by dragging and dropping. You can also do this from the command line using robocopy or xcopy. 25. You Can deploy now your OS to your Tablet. In this “maintenance” release we can see that few OS support has been added and some bug fixes has been issued as well. This release comes only after two and half months, where VMware Workstation 9 has been released. Support for Ubuntu 12.10 as a host and guest. When powering on a virtual machine with Binary Translation on a SMEP-capable CPU, Workstation no longer causes the host to reset. If you run Windows 8 hosts on Ivy Bridge processors, VMware strongly recommends that you update your installation of Workstation. Several security vulnerabilities have been addressed, including updating third party libraries. The Workstation plug-in for Visual Studio has been updated to work with Visual Studio 2012. For host systems with more than 4GB of memory, Workstation will use more of the available memory to run virtual machines. The ability to mount a .vmdk file as a drive by right-clicking the file in File Explorer has been restored. Streaming a virtual machines has been fixed. Occasionally, certain elements in the Windows 8 user interface were incorrectly displayed. This has been fixed. After disconnecting certain USB devices from a virtual machine, Workstation would prevent devices from being reconnected without restarting the virtual machine. A more comprehensive error handling code has been added to prevent this problem from occurring. To improve application startup performance, the data being collected as part of the optional User Experience Improvement Program will no longer be aggregated on every launch of Workstation. Remotely retrieving the IP address of an Ubuntu virtual machine with an IPv6 address assigned failed unless an IPv4 address was also assigned to the virtual machine. This no longer occures. With IPv6 disabled on the host, the Linux version of Workstation is now able to share virtual machines. When you import an OVA file of a virtual machine running the Datacenter version of Windows Server, the network adapter failed to be configured correctly. This is now fixed. Closing Workstation in the middle of a cut and paste operation no longer causes the Workstation user interface to crash. After unsharing a virtual machine configured to use client-side devices, you can now reconfigure the device settings to use local devices. Easy Install on the Linux version of Workstation now recognize all compatible operating systems. The VMware monitor has been updated to work with Linux kernel 3.5. On the Linux version of Workstation, entering a permanent license key after using an evaluation key now removes the days remaining evaluation indicator. The network adapter configuration screen now correctly preserves the Custom network settings. You can now remove a Network if network settings changes are pending. The Use physical drive radio button for a floppy device was disabled when connecting to a shared virtual machine or remote virtual machine a on host without a physical floppy device. This is now fixed. Animated cursors are now displayed correctly in a virtual machine. Workstation 9 has been designed to run on Windows 8 and run Windows 8 virtual machines. Easy Install has been enhanced to recognize Windows 8. Workstation 9 has been enhanced to support the Windows 8 user interface (formerly known as Metro). Toggling between Metro and the Windows Desktop can be done by simply pressing the Windows key on the keyboard and Unity intelligently handles the Metro interface. Workstation 9 also includes multi-touch support for driving the Windows 8 Metro interface running in Workstation on a Windows 8 tablet. VMware has made substantial changes to Workstation 9 graphics virtualization infrastructure. The enhancements include a display-only graphics driver that can render 3D in Windows 8 without hardware acceleration, improvements to make graphics applications like AutoCAD and SolidWorks render more quickly and accurately, an improved Windows XP graphics driver and fundamental changes to improve performance and enable more advanced graphics capabilities in the future. VMware has developed an OpenGL graphics driver and up-streamed it to X.Org. This allows VMware’s customers to use the new graphics capabilities in current Linux distributions without needing to install VMware Tools. The version of X.Org that includes the driver is being shipped in Ubuntu 12.04 among other Linux new distributions. Workstation 9 includes enhancements to the virtual graphics device to improve the overall speed and accuracy of rendering OpenGL graphics in Linux virtual machines. This new capability allows the author of an encrypted virtual machine to require users to enter an additional password to change their virtual machine settings. This feature enables IT professionals and educational institutions to create virtual machines to be used by their employees and students that prevent these users from enabling shared folders, dragging and dropping files, attaching USB devices, and overcommitting system resources. Restricted virtual machines can be run in VMware Workstation 9, VMware Player 5, and VMware Fusion 5 on Windows, Linux or Mac PCs. WSX is currently not supported for production environments. The number of devices and browsers available on the market make it extremely difficult to test this feature thoroughly to ensure it works well everywhere. This feature requires a very modern browser that supports HTML5 with WebSockets. VMware recommends using the Google Chrome 17 browser on PCs and the Apple Safari 5 browser on Mac OS hosts and iPads. Currently there are issues using this feature with Microsoft Internet Explorer 10. WSX may work with other browsers and on Android tablets running Ice Cream Sandwich with the latest version of Google Chrome installed, but more testing is required. Workstation 8 enabled customers to upload virtual machines to vSphere. Workstation 9 now enables downloading virtual machines from vSphere by dragging them from the remote host to the My Computer section of the Virtual Machine Library. Workstation 9 supports attaching USB 3.0 devices to Windows 8 virtual machines. The latest portable devices use USB 3 (SuperSpeed) to achieve faster transfer rates for data. USB 3.0 devices such as portable storage devices and video equipment can be connected directly to Windows 8 and Linux virtual machines that contain in-box drivers USB 3.0 controllers. Workstation 9 improves the implementation of virtual Intel VT-x/EPT or AMD-V/RVI extensions. This allows users to run ESX as a guest OS and run a 64-bit operating system nested in ESX using less system resources. Note: If you enabled the virtualization extensions in a virtual machine running on Workstation 8, you might need to disable the extensions, upgrade the virtual machine to the latest virtual hardware version (compatible with Workstation 9), and then re-enable the extensions. Hyper-V has been added to the Workstation 9 guest operating system list. This enables customers to run Windows 8 with Hyper-V enabled, or install Hyper-V Server. This can be used for educational purposes or for building prototype Hybrid Clouds. This feature is NOT SUPPORTED and probably never will be. Microsoft does not support nesting of their hypervisor which makes it extremely difficult – if not impossible for VMware to fix issues that may occur in this configuration. For this reason, this capability has been implemented purely to see if we could do it! CAUTION: DO NOT ATTEMPT TO RUN HYPER-V ON A VIRTUAL MACHINE IN PRODUCTION. 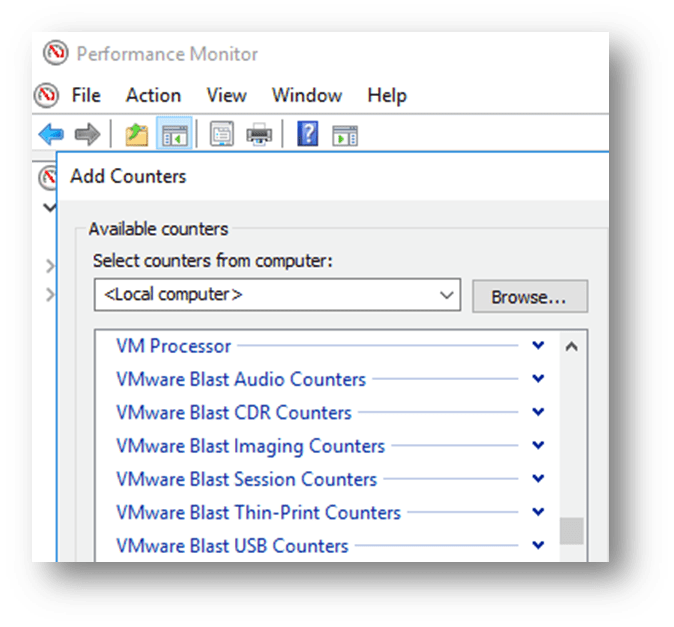 VMware virtual processors now include the capability to enable virtual performance counters which will allow developers to run profiling applications, such as Intel’s vTune, in a virtual machine. 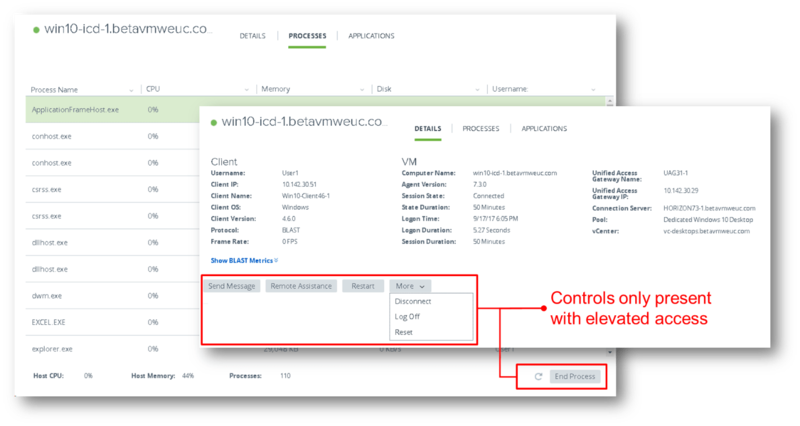 The experience when remotely connecting to a virtual machine running in Workstation 9 with a VNC client or interacting with the desktop of a virtual machine running on vSphere from within Workstation has been significantly improved. Virtual machines consume a large amount of space on your hard drive. Workstation 9 includes a new management option to easily recover disk space. Previous versions of VMware Workstation included a view mode called "Quick Switch" that displayed tabs along the top of the screen to easily switch between running virtual machines. We removed this functionality in Workstation 8. The feedback we received has encouraged us to introduce a similar feature. On Windows, hosts tabs have been included in the full screen toolbar. Views of your virtual machine on the task bar now include controls to change the power state. Workstation 9 automatically saves recent virtual machine library searches as filters to easily apply them the next time you run Workstation. Firmware 3.5.0 for PCoIP Zero Clients and PCoIP Host Cards. Graphics performance and compatibility enhancements. Improvements in creating and using shared virtual machines and remote virtual machines. Ubuntu 11.10 is officially supported as a guest operating system. Disk and memory management issues have been addressed. Many customer-reported issues have been resolved. VMware Workstation 8.0.1 is a free update for all VMware Workstation 8 users. The following sections list the resolved issues in VMware Workstation 8.0.1. CD, DVD, or USB flash drive, please insert it now. VMware Tools failed with the message VMware Tools unrecoverable error. 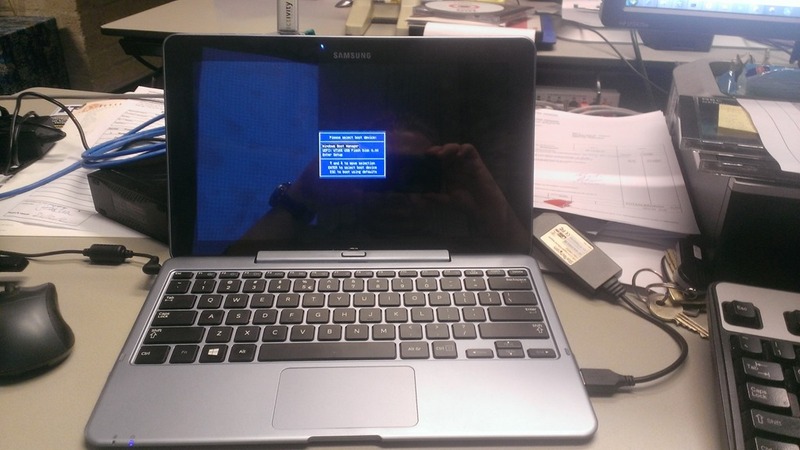 VMware Tools failed to start in Fedora 15 guests. An Ubuntu 11.10 guest crashed with a signal 11 error if you installed or upgraded VMware Tools. On hosts with Nvidia GeForce and Quadro video cards, some of the clouds in the Unigine Heaven Benchmark application were drawn solid black. Easy Install did not properly function on Ubuntu 11.10. If remote virtual machines were open, you could not shut down the Windows hosts. When transitioning from Full Screen mode to Exclusive mode, the Full Screen toolbar sometimes failed to hide. Host memory reservation restrictions on Windows hosts are more relaxed in VMware Workstation 8.0.1 than in previous versions of VMware Workstation. CD/DVD mount Linux.iso failed while installing VMware Tools in Ubuntu 11.10 guests. The AltGr key was not working in an Ubuntu guest in Unity mode when the host and guest keyboards were both set to a layout that contained the AltGr key. This release of VMware Workstation adds the following new features and support. The hardware requirements to install this version of Workstation have changed. Workstation now requires a relatively modern 64-bit CPU. See Installation Requirements for details. The keyboard filter driver is no longer installed by default. When the driver is not installed, the enhanced keyboard functionality is unavailable and you must press Ctrl-Alt-Ins instead of Ctrl-Alt-Del to send a Ctrl-Alt-Del keystroke to the guest. To use the enhanced keyboard functionality, you must perform a custom installation and select the component. If you select the component, you must reboot whenever you install or uninstall Workstation. USB 3.0 support is available for Linux guests running kernel version 2.6.35 or later (Ubuntu 10.10) through a new virtual xHCI USB controller. To enable this feature, add the following line to the .vmx file: usb_xhci.present = “true”. Do not enable this feature for Windows guests. Because Windows does not currently have a generic xHCI driver, this feature will not work in Windows. The Workstation user interface has been updated to include new menus, toolbars, and an improved preferences screen. The favorites sidebar has been replaced with a virtual machine library. Instead of identifying every virtual machine created in Workstation as a favorite, the library is a comprehensive list of all of the virtual machines that Workstation users create, open, or access. 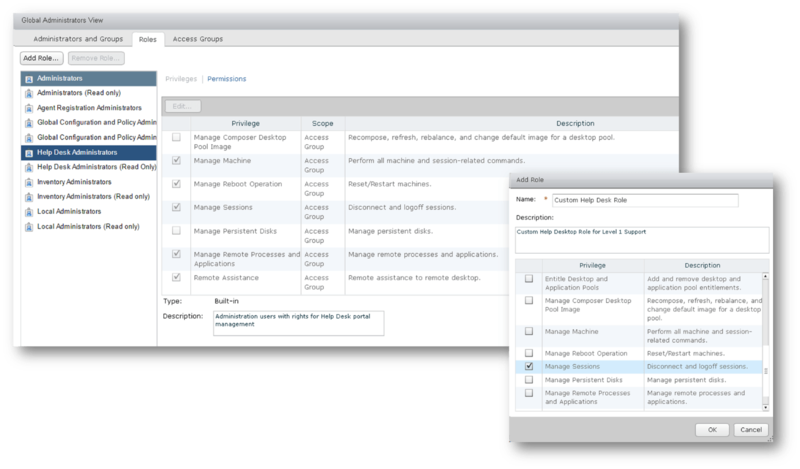 A new folder summary page helps you to better manage a group of related virtual machines. Live thumbnails make it easy to see what is happening in running virtual machines. The full screen toolbar has been updated so that you can do more without having to leave full screen mode. Quick switch mode is no longer needed. Although at first it might appear that the teams feature has been removed, you can add team attributes to any virtual machine in this version of Workstation. The team structure has been converted to a simple folder of virtual machines. A new advanced settings dialog box has been added for network adapters to let you throttle the bandwidth of incoming and outgoing transmissions and simulate packet loss. You can perform power operations on several virtual machines at the same time by selecting virtual machines on the folder tab and pressing the power button on the toolbar. If all of the virtual machines in a folder are in the same power state, you can select the folder to perform a power operation on all of the virtual machines in the folder. You use a global Workstation preference to configure the delay between powering on virtual machines. To implement LAN segments, you can use traditional VMnets or put all of the virtual machines that you want to communicate on the same custom VMnet. 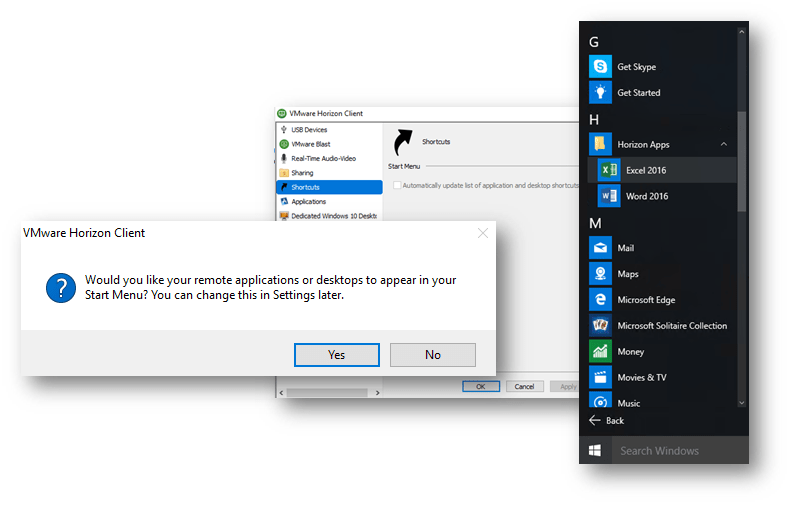 You can share virtual machines with remote users in this version of Workstation. A shared virtual machine can be accessed remotely by other instances of Workstation. Workstation moves virtual machines to the shared virtual machines folder, where the VMware Host Agent service manages them. The VMware Host Agent service is used by other VMware products, including VMware Server and vSphere, and provides additional capabilities required by professional users. An extensive permissions interface lets you control the users who can access and use shared virtual machines. You can use the new AutoStart feature to configure shared virtual machines to start with the host system. 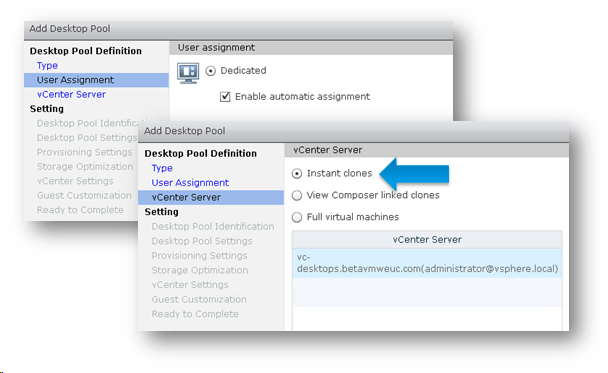 You can also configure AutoStart for shared virtual machines on remote hosts running Workstation and ESX 4.x and later. In this version of Workstation, you are no longer constrained to working only with virtual machines that your computer has enough power to run. You can use the new Connect to Server feature to connect to remote hosts running Workstation, ESX 4.x and later, and VMware vCenter Server. After connecting to a remote host, all of the virtual machines that you have permission to access are displayed in the virtual machine library. VMware OVF Tool is now integrated with Workstation so that you can upload a virtual machine from Workstation to a remote server running ESX, ESXi, or vCenter Server. After connecting to a remote server, you drag the virtual machine from the local My Computer section of the virtual machine library to the remote server. A wizard walks you through the process. This version of Workstation includes several important documentation changes. Describes how to install and upgrade Workstation, create a typical virtual machine, and perform common virtual machine operations. Describes how to create typical, custom, and shared virtual machines, add virtual devices, configure network connections, connect to remote servers and use remote virtual machines, upload virtual machines to remote servers, and perform all virtual machine operations. Now contains complete information on installing and using Player. Has been redesigned to provide context-sensitive help and information on performing common tasks. For complete information on using Workstation and Player, see the guides. Contains comprehensive information on installing, upgrading, and configuring VMware Tools. When you install Workstation, the installer performs checks to make sure the host system has a processor that meets the following requirements. You cannot install Workstation if the host system does not meet these requirements. You can use CPU-Z or a similar utility to determine if the host system CPU is 64-bit capable. CPU-Z shows EM64T (Intel) or AMD64 (AMD) if the processor is 64-bit capable. If you plan to install a 64-bit guest operating system in a virtual machine, the host system must have one of the following processors. Workstation will not allow you to install a 64-bit guest operating system if the host system does not have one of these processors. AMD CPU that has segment-limit support in long mode. Intel CPU that has VT-x support. VT-x support must be enabled in the host system BIOS. The BIOS settings that must be enabled for VT-x support vary depending on the system vendor. See VMware KB article 1003944 for information on how to determine if VT-x support is enabled. When Workstation is installed on a Linux host, VMware Workstation Server writes the core file to /usr/bin instead of to /var/core or /var/log/vmware. You cannot use Workstation to create a remote virtual machine on an ESX or ESXi 4.1 host if the virtual machine name contains non-ASCII characters. When you upload a virtual machine to a remote server (VM > Manage > Upload), Workstation modifies the MAC address and PCI slot number of the virtual Ethernet device in the newly created remote virtual machine. Network errors can occur in the remote virtual machine if the network settings in the guest operating system require the original network hardware configuration. Workaround: Change the network settings in the guest operating system in the remote virtual machine to match the new network hardware configuration. VMware Workstation Server occasionally crashes on a 32-bit Red Hat Enterprise Linux 6.x host. On a Windows host, if you edit a permission, assign the Administrator role, and then immediately click Remove to delete the permission, the original permission still exists when you reopen the Permissions dialog box. On Windows hosts, if a shared virtual machine has a floppy drive that is configured to connect at power on, and a remote user powers on the virtual machine, a dialog box appears on the host system asking whether to connect the device every time the virtual machine powers on. If you click Yes to close the dialog box on the host system after the virtual machine is completely up and running on the host system, Workstation crashes on the host system. On a 32 or 64-bit Windows 7, 64-bit Windows 2008 R2, or 32-bit Windows XP Professional SP3 host, if you uninstall Workstation, preserve the configuration, and then reinstall Workstation to a different path, the Shared VMs item is unavailable in the virtual machine library. On a Windows host, if you create a virtual machine with a name that contains non-ASCII characters in the New Virtual Machine wizard, you cannot share the virtual machine with the Move the virtual machine option if the destination path is other than the system operating system location. The sharing process stops with the error message Failed to move VM to destination path. Workaround: If you want to share the virtual machine, you must use only ASCII characters in the virtual machine name when you create the virtual machine in the New Virtual Machine wizard. On an Ubuntu 11.04 host, the virtual machine icon does not appear on the system tray when you set the Show tray icon setting (Edit > Preferences > Workspace) to Always or When a virtual machine is powered on. After you run the command, log out and log back in. The command can take several minutes to take effect. On a Fedora 15 host, powering on a virtual machine that has DirectX 9 accelerated graphics enabled might fail with the error "Unable to change virtual machine power state: Cannot find a valid peer process to connect to." Workaround: Deselect the Accelerate 3D graphics setting (VM > Settings > Hardware > Display) to disable DirectX 9 accelerated graphics in the virtual machine. When you enter Unity mode in an Ubuntu 11.04 guest, application menus do not appear for applications that were opened before entering Unity mode. Application menus do appear for applications that are opened from the Unity launch menu after entering Unity mode. Workaround: Disable the APPMENU (Global menu) in the Ubuntu 11.04 guest. See the Ubuntu documentation for more information. After you upload a Windows XP virtual machine from the local host to a remote server, you cannot autofit the guest in full screen mode. This problem occurs because VRAM is reduced to 4 MB when the virtual machine is uploaded to the remote server. When you select a newly created folder in the Workstation library, the toolbar power option button is dimmed and you cannot perform batch power operations on the virtual machines in the folder. Workaround: If you select a virtual machine in the folder, move the selection off the virtual machine (for example, click anywhere on the folder tab), and then select the folder in the library again, the toolbar power option button becomes available. On Windows hosts, Player crashes if you click Connect or Disconnect in the Removable Devices menu before the console appears. An Ubuntu 11.04 host might crash when you try to connect a USB device to a running virtual machine from the status bar icon’s context menu. This problem typically occurs after Workstation is freshly installed, the host is rebooted, and the first time the device is connected to the virtual machine. When simple file sharing or UAC is enabled on the physical machine, the Virtualize a Physical Machine wizard returns an "incorrect user credentials" error instead of an error message that indicates simple file sharing or UAC must be disabled before virtualizing the physical machine. See the online help or Using VMware Workstation for information on preparing a physical machine for virtualization. You cannot use the Virtualize a Physical Machine wizard if the Workstation installation path contains non-ASCII characters.